Happy Haiku: I try to dabble in writing haiku poems in Japanese. Like I wrote the other day, I have been playing a lot of Dota 2 as of late and having a blast. It’s been a really good experience, overall anyway, with trying to get back into the game. As I was transitioning over into Dota 2 from League of Legends, I found myself really taking a quick liking to Lanaya, the Templar Assassin, and her style of play. She plays a lot like a ninja, and who doesn’t like a cool ninja girl? I would go as far as to call Lanaya my favorite hero in Dota 2 at this point. Heck, I have been plastering Lanaya pictures all over my various blogs and stuff. First off, many apologies for the posting hiatus. I think it’s been too long that I have written a proper post on this blog. This blog of mine is in fact very important to me, so I would like to pick up where I last left off before a few months back. What can I say? Life happens. You learn. Things force you to rethink everything. You don’t reshape yourself overnight. It takes time. Lots and lots of time, unfortunately. For a long while, I have had to do a bit of soul-searching as a gamer. Games are supposed to be fun, right? Games should bring you entertainment and all that jazz … However, my “main” game for the past four years, League of Legends, became anything but that at a certain point. The moment I found myself being more agitated, stressed and even infuriated by League, the more I came to accept that it was probably my No. 1 source of all the negative feelings a human being shouldn’t have to endure on a daily basis, at least when it came from something that should make me happy. And boy, I certainly wasn’t happy with League on many given days. It was always one thing or another. No matter if I was trying to play a “just for fun” match or something more serious with the game, I kept finding a boatload of reasons and (often illogical) excuses to rage. It got downright unhealthy and unpleasant. 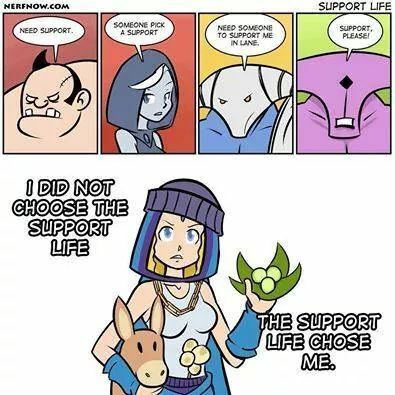 I will admit I relied on League heavily as an outlet for excess emotions, but I think League was definitely spawning more bad feelings than getting rid of them. The balance definitely wasn’t there. After a while, I just told myself that I needed an actual break from League. I am not saying I am quitting it cold turkey at this point by any means, but this was a really tough decision for me as a gamer.